Hello everyone! 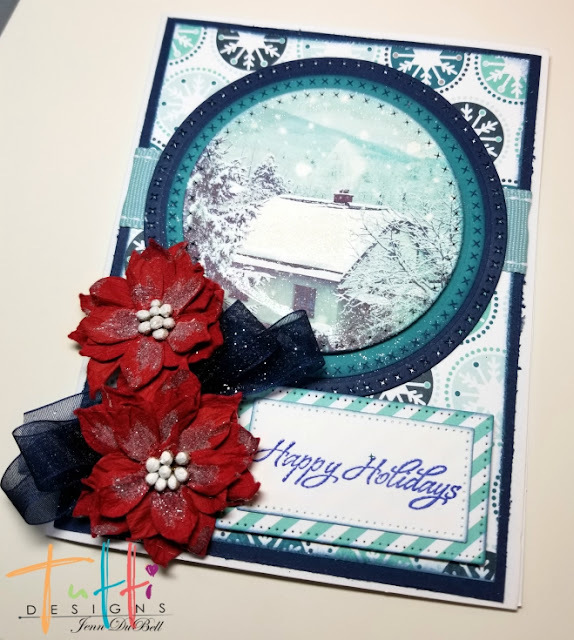 Jenn here today sharing an addition to my holiday card making this year! I used several amazing Tutti Designs Dies on this one! 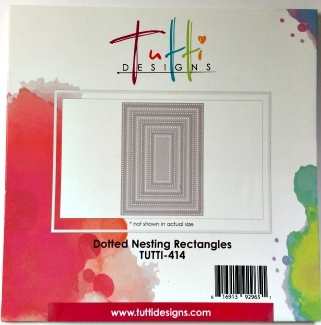 I love combining the nesting shapes on cards and the detailed edges add a special touch! 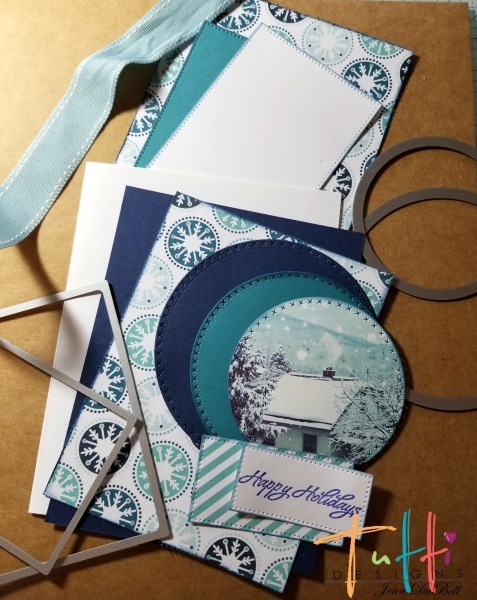 I also used teal,navy,and white cardstock. 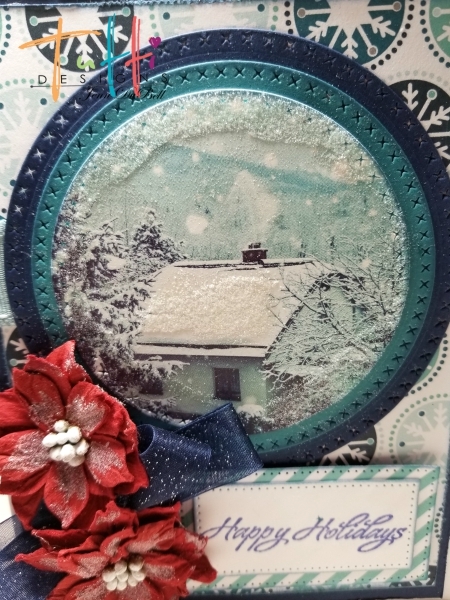 All pieces were inked on the edges using Stormy Sky Distress Ink and foam applicator. 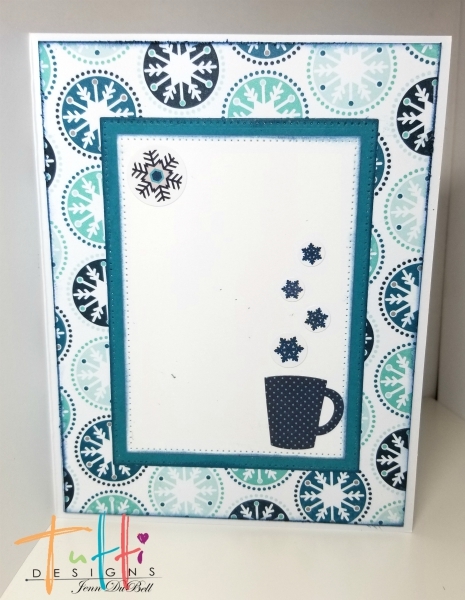 Stamp a sentiment on the small white dotted rectangle. Start assembling the inside by gluing down the designer piece. 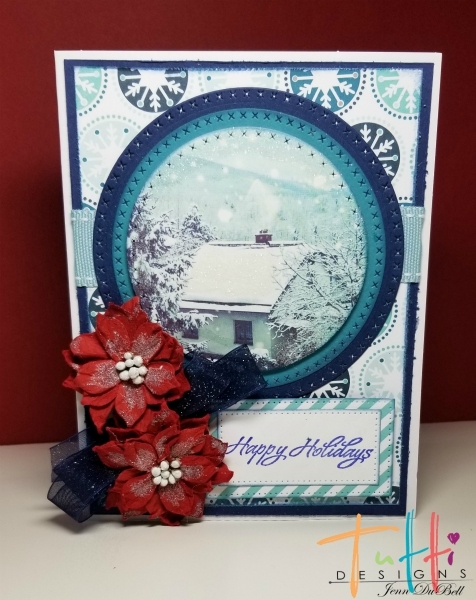 Add the two layered rectangle die cuts. Add some fun stickers!! Next, assemble the front of the card by adhering the Navy cardstock cut, followed by the designer cut. Place and adhere a strip of coordinating ribbon. 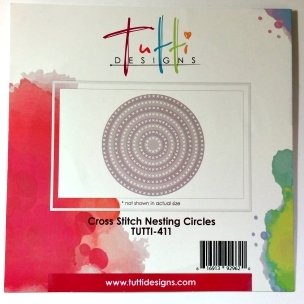 Add The large navy circle, followed by the teal circle. Use foam adhesive to raise the last circle (picture) and adhere to the teal. Add the two layered rectangles. For my poinsettias I added some clear glue and extra fine glitter to make them pop. I also added some glitter to the picture circle. 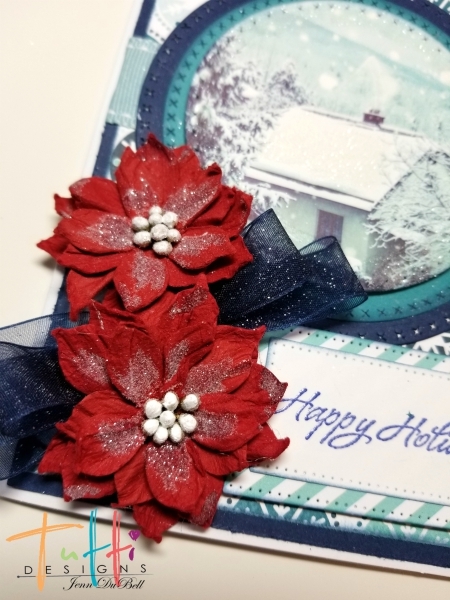 This card was fun to make and I absolutely loved the result of adding the red as a pop of contrast! WOW what a gorgeous card Jenn! LOVE the colors and layout! Well done .. awesome inspiration!